Unfortunately on one has been able to explain how I can retrieve x-rays from Sharp-Reese Steeley Online and the internet has been no luck either. The threshold required for growth to show up via x-ray is pretty high. No micro-growth plates are going to show up. So until someone can explain how I can access my x-ray records via the Sharp Reese Steeley medical system there can be no X-rays for now. I've been using an allen wrench and a hammer to test out Natural Height Grow's Pick Axe method in addition to LSJL: Bondhus 12116 1/2-Inch Long Hex L-Wrench . Since Michael is now performing the LSJL method maybe that is the solution to proving the LSJL method. My tests so far show that the allen wrench + hammer has been effective in creating sensations in the bone. In fact, I was worried that doing this may actually fracture the bone but I think it would take tons of hard taps to create enough residual strain to fracture the bone. And it may be necessary to fracture the bone as there is a different microenvironment involved in a microfracture versus a macrofracture. A microenvironment that is more chondrogenic. It's unclear whether this method has synergy with LSJL as drilling the bone in LSJL has been shown to reduce LSJL effectiveness. However this method may be a way to induce (-micro)fractures without penetrating the skin. There might be a region between micro- and macro-fracture that can generate a pro-chondrogenic microenvironment without the disability caused by a full blown macro-fracture. The current progress pic is above. Here's the last set of pictures. You can see that 13 1/4 no longer quite covers end of the ankle to where the calf stops sloping in and where the next muscle slopes out. And I think this is true even if you account for the account that the tibia is rotated slightly outward in the present pics. You can also see an increase in ankle width even if the foot in the before pic is rotated slightly inward. So I definitely gained some height with LSJL. and also how much increase? You said on the NHG podcast that you're 5' 10 1/4" now right? So does this mean you gained another quarter-inch? Sooo now how long is your shin? I don't quite see this as an evidence of growth. How come you don't just measure your entire height? I'm asking because it's quite hard to see your 'height increase' on these pictures. Also, did you gain more height since your last post in March, 2011? The one stating your height increased by 1,5 inch? There's too many confounding variables in total height measurements. Different nurses get different measurements at physicals. So I can't use that. Can't use stadiometer at gym because of head tilt and ruler tilt. Well certainly you can use the nurse measurements or gym stadiometers to prove that you're at least approximately 5'10" even if the measurement is not exact. These shin photos are really tough to decipher, and aren't particularly convincing. You could stand against a wall with a ruler, and get someone, or a timer to take the picture, the measurment would be froom foot to chin or something like that, no head tilt, spine compression or anything like that would scew the result(Unlike placing a ruler next to you randomly and then swear you gained 2 inches, when you margin of error is like 1 inch at start at at finish. placing the ruler against the wall when most walls are not straight up and down at the bottom(although if I use the same wall every time this will not be an issue). There's the issue of keeping the ruler in the same position for months/years. Cameras can also break down. Tables can get nudged over time. Although I could just measure table distance to wall every time. Picture proofs are just proof of growth, it doesn't have to be specific on just how much. 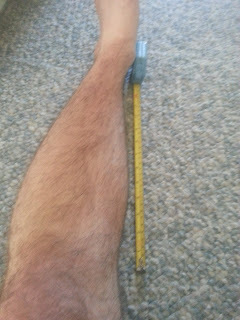 And the tibia is now greater than the 13 1/4" than it was before. In the after pictures, I think the ruler could be moved further back along the ankle to match the before pics thus making the length gain greater. A 1,5 inch gain in height would certainly be visible just by measuring yourself completely while standing against the wall, right? It feels like the way you're putting it, your tibia did grow by 1,5 inches, but your total height didn't. How about you just shave your head and buy a 7' x 3' mirror? You lean against the flat wall with the big mirror placed directly across from you so you can see your entire body and mark where the top of your head is. I did the whole head shave thing when I was in college for over 2 years, and this was before I got into height increase. when i got into height increase, i shaved my head again, and measured my height religiously until it became an automatic habit. Really, you claim to have done the damn impossible, and when it comes to picture proofs, your exuses are walls not straight, cameras that could breakdown and tables that can be nudged? what I'm saying is by taking a picture to a reference point, like a ruler to a wall, and keeping the camera at a fixed place would be much better to show anything. I can't take these pictures you're posting seriously. I'm not saying your method wouldn't be ideal but I'm saying with how long it's taken me to grow that I don't want to start the measurement over again. By the time this method would produce results I could just gain more bone length that would be more visible despite the measurement error. Did you actually measure your total height before the '1,5 inch gain', and after? And if yes, did you see a 1,5 inch difference in your total height? Because if no, then your tibia didn't grow by 1,5 inch either. Not just tibia but femur grows too. It's just harder to measure the femur. I appreciate these new camera taking techniques but I don't want to start over given how long it's taken to gain the height so far. Unless a method is accurate to the millimeter it isn't worth pursuing over the existing method. At the beginning my height PR(personal record) was 5'8 1/2"(with a low of 5'7 1/2) and npw it was 5'10 1/4(with a low of a hair over 5'9")"
So your height goes down 1.25" with spinal compression?!?! Does it usually compress that much? Your gains were just by lsjl?did you noticed your bones thicker?what supplementation had you been using? Only supplement is Lithium and occassional Melatonin. I think thicker bones are visible in the pics especially in the ankle. 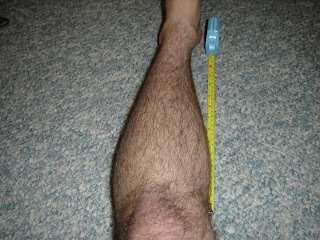 did you get thickness on your knees or kneecap? And you gained this all from LSJL, over a two year span, confident that no other factors could have played a role in this increase? Also, what do you mean by 'with a low of a hair over 5'9"'? Thank you for your quick responses, by the way. Slightly over 5'9" is the lowest measurement I get. I have been eating less food lately to see if inflammatory response could be growth repressive so that could have had an impact. Your lowest measurement being at night time? How long is your shin now? 16.5 inches? I think if you could just take one good clear picture that corroborated that you are indeed 5'10", even if there was no "before" picture to compare to, about half of the skeptics would believe you. The other half might say you were 5'10" the whole time, but I think a lot of people would be convinced. The whole time you could have just placed your foot against a wall and measured from that, or measured your inseam (you've never mentioned needing longer pants?). Highly Suspect. If you're going to make bold claims like growing 1 1/2", you should have some actual proof. It's irresponsible to lead people on. Are you still performing LSJL on your arms? How's that going? I still don't understand how joint loading could even work on matured bones, doesn't it just induce chrondrogensis in the growth plate? All my pants were long before so I just roll them up less. The idea is that LSJL induces mesenchymal condensation and new growth plates. Greater condensation of mesenchymal stem cells can be seen here: http://www.heightquest.com/2010/08/histological-analysis-of-hyaline.html in the mesenchymal tissue. I have some slides below to help identify the various cells in the diagram. You can clearly see here: http://www.heightquest.com/2010/05/grow-taller-with-epiphyseal.html. In the image proceeding the phrase "Without Drilling" that LSJL induces bone degradation in the cortical bone at the 50% region and less at the 75% region. This would allow for new growth plates to form. Unfortunately there's no images from a portion of the bone closer to the epiphysis but it's very likely that LSJL degrades bone making room for growth plates. LSJL also upregulates the core chondrogenic genes: Col2a1, Sox9, and Acan and several mesenchymal condensation genes. According to Gene Ontology Analysis from here: http://www.heightquest.com/2012/11/lsjl-pathway-analysis.html. LSJL upregulates 35.29% of the cartilage condensation genes(which is the stage that forms new growth plates) and it's possible that these genes are upregulated below the 2.0 fold threshold. LSJL upregulates 50% of genes in chondroblast differentiation which is the next stage in growth plate formation. Several genes are upregulated in LSJL also upregulated in mesenchymal condensates by life cycle analysis so affirming that LSJL can play a role in growth plate formation. Not 100% proof of LSJL as there are epigenetic factors, different species, etc. Evidence that hydrostatic pressure, tensile strain, and other forces can induce mesenchymal chondrogenesis in human mesenchymal stem cells. All forces which are likely induced by LSJL. I'm performing LSJL on my arms but haven't been measuring because performing LSJL on my arms is difficult because I can't get good leverage. I get better leverage on my wrists though. I'm just focusing on my fingers because I can generate an incredible amount of pressure relative to the bone so I know whether level of pressure is a limiting factor. Not really any observable gains on the finger. The size of the clamp may be too large relative to the finger LSJL is partially based on creating a pressure gradient and the clamp size may apply a force to too large an area of bone. You can increase height, YES or NO??? Everytime somebody asks the question if you've gained this 'height' just by LSJL, you avoid answering. Scroll up to see. Why? Also, if your tibia and femur grow while your fibula doesn't, wouldn't that create a problem proportion-wise? well if LSJL induces new growth plates then x-rays are the only proof. Photos you have upload are not clear and do not tell anything... Just get some x-rays!!!! Also, as a previous anonymous poster already mentioned above, I would probably believe you if you took a picture of yourself, showing that you are indeed 5'10" in height. You don't need a before picture or anything, just a picture where it is clear that you are 5'10" tall. I don't think that'd be too hard now, right? Really, after following this blog for a couple of months now, I still don't understand why you would -not- do this. It would make a lot of us a lot more confident about the entire LSJL process. Alex is right. If there is some growth in the tibia, then an x-ray would show.... for the first time in human history.... what new growth in the tibia after age 25... in a healthy individual who had previously stopped growing.... looks like. The x-ray should be able to show some kind of indication of fresh growth brought about by something other than the "normal" growth process. Have a bone specialist analyze it. That is much better proof than ANY type of measuring. I suppose it would be possible to get an x-ray. Go to a GP say I have pain in my tibia. The GP won't find anything but refers me to get x-rays. The problem with x-rays is that growth plates show up as x-rays just as a blank space. If a growth plate is partially formed within the bone, it won't show up. Only if a growth plate completely covers from one end to the other will it show(as blank space) otherwise the bone will show up on the x-ray and dominate the cartilage. The x-ray detects things due to chondro- and osteochondrosarcoma- but I think that's more due to other soft tissue parts of the tumor than the chondrogenic tissue. you still should take and xray of the tibias growth plates for us to believe you. If you prove you opened your growth plate with lsjl,then you are making history,giving a great chance for us to grow. If your growth plate are open even a fraction,there will be a line. Please Tyler these is very important for you and your proyect to get trustworthy. Okay, so I go to urgent care and then inside. I claim my tibia is in pain and then I get x-rayed. Then I have to go back later to pick up my x-rays. I can say I was doing leg presses and suddenly I have a sharp shooting pain in my left tibia. What about the follow up? Also it won't necessarily show up in the x-ray as a line. It will only if a new growth plate formed completely from one end of the bone to the other. It won't show up as a line if a growth plate formed within the bone but some bone is covering the front or back of the bone. There may be other changes in the bone shape too which is why I still might go through with it. I need coaching with the cover story though. dont be complicated,just tell doctor you were running and then you feel a heavy pain on tibia while you were running,doctor are not going to analyze if you are lying or not,they are there for help you and will believe you and doctor cant know what exactly you got without an xray to firts thing he will do is order you to get one. Also the results of your xray you can have them on internet so ,you really not make so sense. You are seriusly avoiding to take xray. Can you explain how to access xrays on the internet with Sharp-Rees Steeley thanks? What about for finger experiment from months ago, did your fingers grew longer? I addressed this in a earlier reply to a comment on this page. If you really has grew why doctors dont apply these methods ?I can asume that all endocrinology or traumatology know these theorical process involve in lsjl. Tyler sorry from us to be skeptical but you need to proof on an universal way your method work,why there are so many people even younger than you who did not gain at least 0,1 cm? The medical system is not perfect and it takes a while for theory to become treatment. I changed the LSJL method recently. I shifted the loading more from the peak of the epiphysis to the synovial joint itself. This places the load on a weaker part of the bone and also makes the LSJL method closer to the method performed in the studies. Synovial joint? You mean the synovial fluid, so inbetween the femur and the fibia? Just like there are ultrasound technicians that can interpret way beyond what most people see when looking at a sonogram....there are very likely bone specialists that can interpret your tibia imaging(x-ray, MRI, whatever is the best) in the same manner. There are specialists that can see/interpret things that you can't. If you've added, lets say 1/2 inch through clamping pressure after age 25 just to your tibia alone, then that should show up in some type of imaging technique. If you really want proof you must by some means, any means, talk to an expert, find out the best imaging technique for your proof and have an expert already lined up that will know exactly how to analyze it. Seriously, this foreshortening view of the legs photography is silly. It doesn't fit in with all your posts in the blogs. Everything seems thoughtful and scientific and then for the proof you keep showing the worst foreshortening angles to prove vertical growth. Besides, why fool around with photos when some type of imaging analyzed by a bone specialist would cut through the clutter. You can shut the critics up once and for all by having a bone expert declare you have fresh growth in some areas. First, pose a question to the right expert: If I created pressure in an area of my leg and, over time, my leg grew vertically as a result...would there be some way for signs of this new growth to be seen in an x-ray or some other imaging technique? The answer might even give you insight on future growth that you don't currently have. It's hard to get experts to listen. X-ray's don't give a lot of information on what's going on inside the bone. A growth plate has to be pretty significant to show up. The pics can still be analyzed using math and they can be verified. I commited myself to test LSJL. I've been doing it very consistently in the last lastly, how much growth should I expect in a 2 months period? I need at least 0.3 mm of growth to see it as a hard proof that the method works. There are other bone imaging techniques other than x-rays. But, x-rays or otherwise, there are people that have considerably more experience reading them than you likely do. I hope that when you say "The pics can still be analyzed using math and they can be verified." that you are not referring to your photos when you say "pics". The reasonable thing to do is drop the subject of your photographs and concentrate on a bone imaging technique that will provide definitive answers. "I changed the LSJL method recently. I shifted the loading more from the peak of the epiphysis to the synovial joint itself. This places the load on a weaker part of the bone and also makes the LSJL method closer to the method performed in the studies." So this would mean you load inbetween the femur and the tibia? I would think you could find a doctor somewhere to help you with this, given that if it really works, it could be a life-changing, multi million/billion dollar discovery. I know that bone indeed conducts electrons via piezoelectric currents, so stimulating it with mechanical stress such as a clamp, would seem to me that it could indeed cause growth, although elongation is something that may be far-reaching. I'm an 18 yr old female. I'm about to have a calf reduction surgery in August by partial resection of my gastrocnemius muscle. Do you think my bone can still grow without some of the gastrocnemius muscle? Looking forward to your answer. Thanks! Just find a way to prove that you legitimately measure 5'10" and your credibility will go up. try to get xray from other way, try in another hospital. Still dont understand very good why the chisel is needed too,also tyler you should appload a video of it and why that theorical process work. The chisel is loaded because the hammer is wide. The chisel applies the force to a smaller area. I'm waiting for naturalheightgrowth to upload a video or photos of him actually doing it so I can compare. still thinking one can grow with dumbell and clippers aren't you..
Look at his pseudo scientific BS and the way he tries to avoid measuring himself. Why on earth do you try this crap if you dont seem to care about total height? Your whole blog is one big joke! I've tried measuring myself and I do care about total height. There's just too many confounding variables. It's much easier to just present one bone. Hey Tyler,i bought cream with allantion,anyway im 16 how much will help me ? Tell me, smartass, how can it be possible that you dedicate your "life" to LSJL, running a big blog with a forum, researching LSJL and read through hundreds of studies but when it comes to measuring yourself you act like a 16 year old retard who cant even properly measure himself. you should give your opinion instead of this. ^ Above poster is right. And it seems you're giving lots of people false hope here. Be honest and be a good person by telling us the truth and answering all of our questions. try typing in the term "gigantism" or "pituitary gigantism" into Pubmed. there are studies suggesting that we might be able to do try height manipulation for people with open growth plates. .
man the reason why he runs this fraud is to cash in adsense money :) ! I make about 100$ every 3-4 months from adsense. Science doesn't exactly draw a lot of traffic. Not a fraud. Just an uphill battle but am gradually getting more and more proof and aid. Just taking much longer than I thought it would. If the endeavor of achieving height increase after growth plate closure was easy it would have been done or figured out by someone else already in human species 5 million years history. Remember that it took ilizarov 30 years to get all the theory, technique, and practice of just the external fixator method to work out. No one in the Western nations even realized limb lengthening surgery was even possible until the early 80s. I think we have a long way to go. You really have to ask yourself whether you can continue the research for another 5-10 years without anything being able to pan out. If you (or I, or another who wants to take on this behemoth of a scientific research) succeed, you will go down in the annals of history. It is not about the money but the work. The greatest thing I get from the website is the feeling when I get a email message where the person says how incredibly useful the website is because there is at least someone in this world brave and crazy enough to suggest something that nearly all medical professionals say is impossible but half of the world (the shorter half) secretly wish is possible. Maybe I should show these guys the dozens of emails thanking me for doing all this research and creating the website since no one besides us are willing to use real science to back up our claims. I'm pretty sure actual researchers are looking into non invasive methods of limb lengthening... however my issue is that LSJL is based on joint loaded bone formation studies by Zhang et al that are based on increasing chondrogenesis in active growth plates. They did suggest injecting igf-1 into the growth plates of the elderly, but mature bones don't have growth plates and that has never been addressed. They never mentioned growth plate formation. Sometimes it's hard to take this seriously, when you can't even measure yourself properly and have absolutely no proof whatsoever. All you ever had to do was measure your change in inseam. Head tilt, spinal compression, posture wouldn't matter. any pics of your actual height yet? i do believe this guy, because i got 2 cm in my left leg and 1 in my right it took me 5 months doing it infrequently and mostly wrong but am still trying. And Tyler will you make a blog of you and your story instead of all this science stuff. tyler will you make a page just about you and your story about the last 2 years. 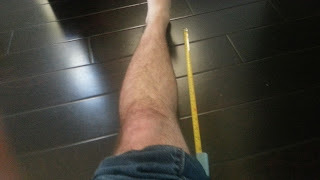 Tyler could you give any suggestment of why my left leg keeps growing and my right doesn't. Do you have before and after pics? Do you have scoliosis(could affect signaling to the different limbs)? Which limb do you load first? How much has your left grown versus the right? i don't have before and after pics and i do get back pain in my left side. Tbh i cant remember witch i used to load first but now i load the right first, my left is just over 2 cm (close to an inch) and right is basically nothing. i do struggle more clamping the right because there seems to be more excess skin there. Can you think of any solutions? How does the chisel and hammer work and should you do it right before jsjl routine and should you walk on it afterwards. and how small must the chisel be? Don't understand when you say "I've been using an allen wrench and a hammer"
Your lower tibia had gone a lot skinnier and your upper emphasis had gone longer. You could have asked for a copy of the x-ray. Also, an orthopedist would be able to tell if there was new growth. I'm really not sure why you never followed through with this. You need proof, yet you won't do anything to substantiate your theory on LSJL. Tyler, after researching 'how to increase height permanently after puberty/adult age) i've come across a lot of websites,medicines,pills ,forums which claim to make people grow taller substantially with exercises and balanced food,good sleep etc even after puberty.Turns out to be those are all scams.Luckily i found your forum and i was curious about your pseudo scientific technique,the success and all the explanation about hydrostatic pressure and growthplates etc.Indeed i agree this is a unique website which includes totally different approach to make people taller and a popular one too! 1)You never posted a single picture of your initial height when you started the project which could verify that you were 5'91/4" at that point. 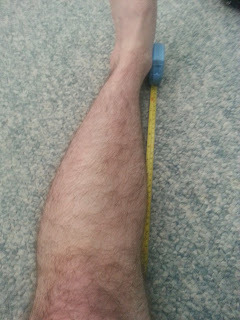 2)you're slightly over than 5'10" now as you claim,that's a visible height increment and yet you keep uploading the pics of your legs in which the marks on tapes are very blurry,contain measurement errors.Hence your pics of your legs prove no solid evidence that you've grown taller at all unless you're measuring your full body height. 3)you posses knowledge about bones like an orthopaedic surgeon,and yet whenever people ask you to upload a picture of your current body height not just the length of your legs your excuse is that there could be spinal decompression,head tilt etc.Really?May be shave your head,ask someone to place it on the top of your scalp tightly(to avoid hair) and then mark it.Incase if you don't find a stadiometer ofcourse.Do it in the evening so your spinal decompression will be almost negated.So i'm asking you to upload a video where you're standing on a stadiometer or against a wall barefoot,shaved head(If possible),right posture.With a friend recording the video and shows that you're standing on the floor or stadiometer and marks the wall and then measures it.If it turns out to be 5'10" then there will be no further suspicion about it.Clearly there is slight fluctuation everyday but it will be neglected if you have really grown more than an inch and measure it in the evening same time.You're giving a lot of people some hope.I don't care about the scientific fallacies and explanation if i don't see any proof of your claim.If you don't upload something like that as i mentioned i'm afraid there's no need to believe in your claims from now on.If you're honest about it,you'd do it and it'd encourage more n more people to practice and the forum will be popular than ever.I'm thinking about donating money too if it turns out to be true.Becoz we many people don't wanna go do a painful cosmetic lizarov surgery neither can afford it to gain 3 more inchs and we're always hoping to find an alternative. 4)The success rate of LSJL is merely fragile.People even in their 20's tried this technique n merely grew or almost not at all.While you're whose growth plate have ossified and 28 years claim that you're growing.this is clearly hard to believe,Why the success rate is so lame?If you want us to believe SHOW SOME DAMN VIDEOS ABOUT YOUR CURRENT BODY HEIGHT,NOT JUST FIMUR OR TIBIA.I'm a member of a respected,well known forum that concerns human growth too.For some reason i wont declare it.and we the members of the forum believe that there's no way to increase height after the growth plates have been closed apart from cosmetic leg lengthening surgery.It would be awesome to see your result that you claim to make impossible with a solid proof.so i could tell it in my forum to other members too and let their skeptical believe vanish.